First World War recruitment poster; 'War Bonds. Feed the Guns! '; Illustrator Bert Thomas. 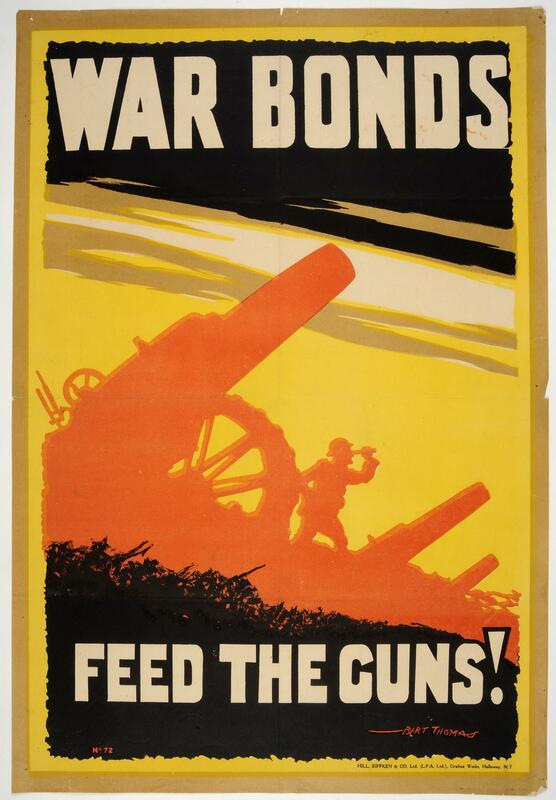 Dramatic poster for War Bonds, featuring several huge pieces of wartime artillery.